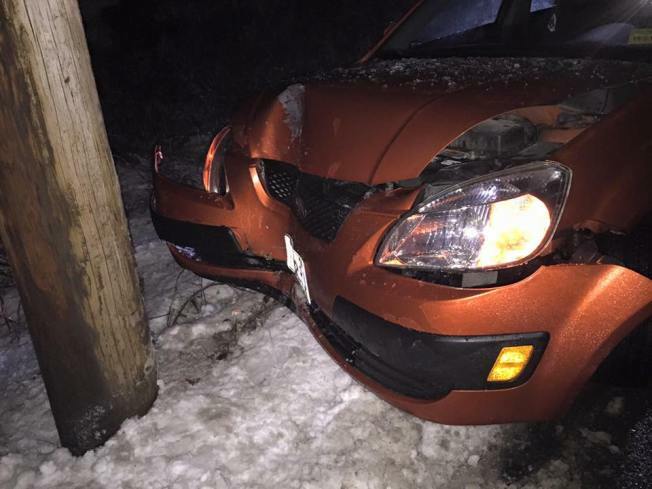 Police in Cumberland, Maine, responded to this accident, which was one of several in the area due to slippery road conditions. No injuries were reported. New Hampshire and Maine police reported multiple spin outs and cars off the roads Saturday morning in the northern, central and Seacoast areas, where freezing rain and snow created slippery conditions. State police advised motorists to limit road travel Saturday into the evening hours to allow the Department of Transportation to treat and clear the roads. Police also advised motorists to drive more slowly, to allow extra space between vehicles and not to crowd plows, which have limited fields of vision.